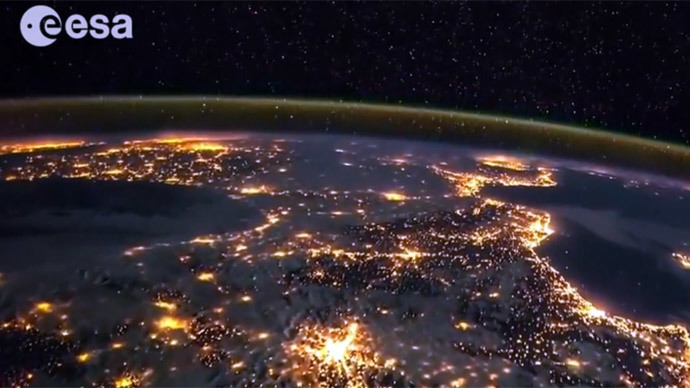 The European Space Agency released a timelapse video composed of images taken by its astronaut Samantha Cristoforetti from the International Space Station. The footage shows a path from the Canary Islands to Italy as the station flies over the night planet glowing with city lights. Cristoforetti is one of six crew members currently on board the ISS along with NASA astronauts Barry Wilmore and Terry Virts and Russian cosmonauts Elena Serova, Alexander Samoukutyaev and Anton Shkaplerov.